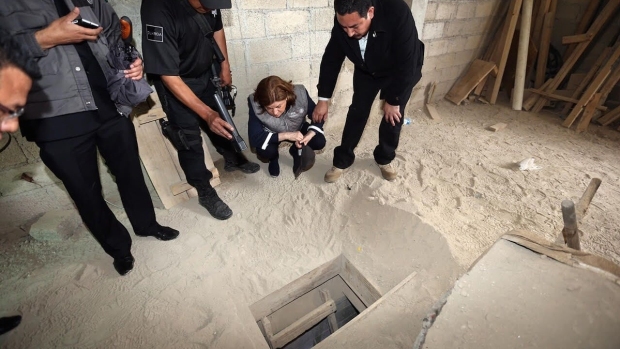 Guzman's lawyer, Eduardo Balarezo, said he was reviewing the memo and would "respond in due course"
U.S. prosecutors say their evidence against notorious Mexican drug lord Joaquin "El Chapo" Guzman includes killings, torture, kidnappings, prison breaks and even an attempt to smuggle seven tons of cocaine in cans of jalapenos. A government memo filed Tuesday also says there's evidence that Guzman was involved in a 1992 drug-gang shootout at a Puerto Vallarta, Mexico, nightclub that left six people dead, according to The New York Times. Guzman's lawyer, Eduardo Balarezo, said he was reviewing the memo and would "respond in due course." 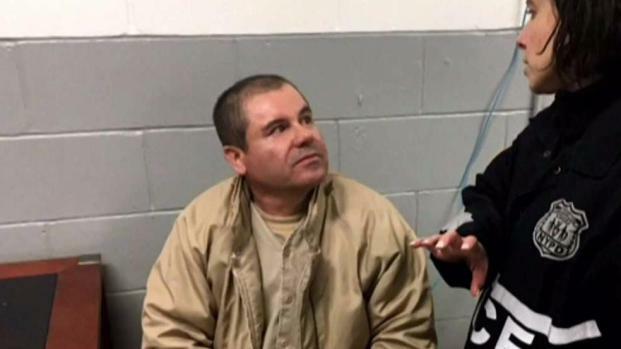 Finding jurors to serve on a trial for El Chapo could be a tough challenge. Checkey Beckford reports. The Brooklyn conspiracy trial starts in September. On Monday, the defense requested the criminal histories of drug lords, couriers, enforcers and accountants that prosecutors may put on the stand. The list includes about 40 witnesses, including some who might be allowed to testify under aliases. Prosecutors said they also had satellite photos of Guzman and his operation, drug ledgers, dozens of videos, thousands of intercepted phone calls and emails, and more than 300,000 pages of documents. The government also has asked the judge to exclude some topics, including charitable works that Guzman performed in Mexico; his recent announcement through a lawyer that he was planning to run from his New York jail cell for the Mexican Senate; and a January 2016 Rolling Stone article by actor Sean Penn, which said Guzman had built "an almost mythic," multi-faceted reputation, including that of "a Robin Hood-like figure."